Runaway in these. 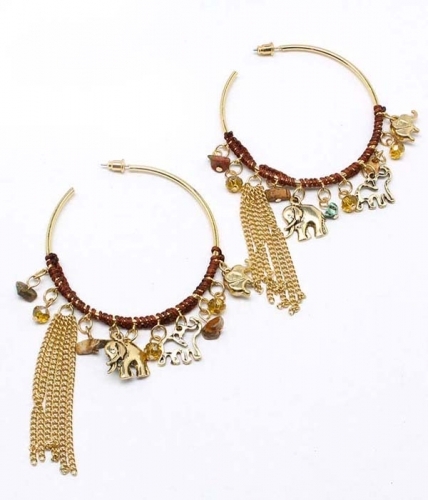 The Jessica gold hoop earrings drip in exotica; embellished with beads, charms, and tassels reminiscent of places far, far away. A sultry addition to your summer look. Buy this gorgeous piece of costume jewellery online today and get fast delivery within days.